Bullies beware! You have met your match with Bobby Bully. He is the baddest kid on the block. He can take a lickin' and still keep tickin'! But don't let the name fool ya. Bobby Bully is anything but a Bully. In fact, quite the contrary. Did you know that every seven minutes, a child is bullied on the playground? One in four teens admit to being bullied with as many as 160,000 students stay home on any given day because they're afraid of being bullied. 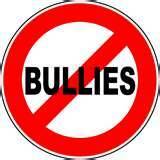 Eighty percent of the time, an argument with a bully will end up in a physical fight. With statistics like those, it is clear that it's time to fight back! Help your child become the one NOT to pick on. The need for self-defense goes further than peer-to-peer as we all know. Every 40 seconds in the United States, a child is reported missing or abducted. It is a proven fact that those who fight back have a much better chance of getting away. Don't let your child become a statistic, teach him (or her) the art of self-defense. 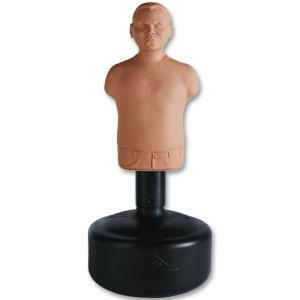 Bobby Bully is perfect for teaching youngsters self-defense because he is a human replica and is anatomically correct. Children can learn to target just the right areas and can hit hard without worrying about getting hit back. 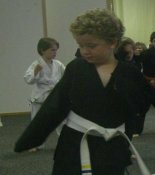 Not only is Bobby excellent for self-defense, he is the best sparring partner your child can have to help him or her learn the Martial Arts. Just as Sparring BOB and BOB XL have been help grown-ups reach the next level of training, the Bully bag will do the same for your youngster. This human replica will help your child learn to hit an actual target. to develop those technical skills that are hard to practice. Since it is often next to impossible to find a human who wants to stand around while a kid beats him up, this guy is priceless. And your child can hit it hard. That is one thing that is hard to practice, as you cannot hit your opponent really solid. With Bobby you can! Chokes are a hard one for kids to learn. Now with the Bully, you can practice proper choke techniques. For striking you can pinpoint areas for pressure points. Kids are not going to be able to defend themselves with just a punch to the stomach. But a well placed punch to a pressure point, gives them a much better shot. If you are going to get Bobby, you really might want to consider throwing in Roland Osborne's Bobby Bully Sparring DVD too. 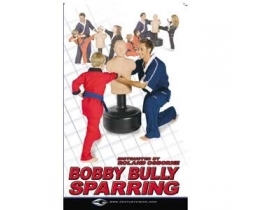 The video teaches the basic fundamentals of self defense with the use of Bobby Bully. Using the target areas on the bag can make the techniques more realistic with proper resistance training compared to a normal kick bag. Join Roland Osborne as he shows your child how to use the bag under different circumstances such as for self-defense as well as Martial Arts training and includes lots of fun, exciting and different games for your child or with students in your classes. 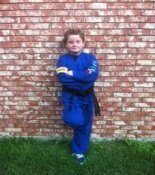 As a martial arts instructor and as a parent, I highly recommend this child size sparring partner. You will find our price is very affordable and our shipping rates are excellent as well so do your youngster and yourself a favor and order your Bobby Bully today. If you know of a child who is being bullied, ''Bobby The Bully'' is a book that helps put meanness in perspective and bullies in their place.